In July 2017 the Justice and Home Affairs Council adopted recommendations on alternatives to coercive sanctions for drug using offenders. These recommendations were approved within the frame of the EU Action Plan on Drugs 2017-2020 which requests member states to provide alternatives to coercive sanctions for drug using offenders “where appropriate, and in accordance with their legal frameworks.” “In the year 2018 it is appropriate that patients, who according to a recommendation by a physician profit from a treatment with cannabis, are no longer subject to sanctions by justice systems in EURopean countries and worldwide, if they use the drug,” Dr Franjo Grotenhermen, Executive Director of the IACM, commented the Action Plan. This agreement represents the political will of the 28 EU Member States to apply, in each legal system, alternative measures to coercive sanctions in order to: prevent crime; reduce recidivism; enhance the efficiency and effectiveness of the criminal justice system and look at reducing health-related harms and minimising social risks. Alternative measures can include: education; suspension of investigation or prosecution; suspension of sentence with treatment; rehabilitation and recovery, aftercare and social reintegration. A police investigation targeting one of Brazil’s most prominent cannabis researchers has ignited a wave of protest among scientists. They say that the move by authorities from the state of São Paulo threatens research freedoms at a time when science in the country faces severe problems because of draconian budget cuts. Police questioned Elisaldo Carlini, 87, a retired professor of psychopharmacology at the Federal University of São Paulo, on 21 February on suspicion of inciting drug crime, according to authorities. They are still investigating the case and have not charged Carlini with anything. According to documents from Rosemary Porcelli da Silva, the public prosecutor in São Paulo state who requested opening the case against Carlini, she saw “in theory, strong hints of incitement” in a cannabis symposium that he organized in May last year. Israel: 1st International Conference on Medical Cannabis on 23-26 April 2018 in Tel Aviv. USA: ICR Conference 2018 on 26-28 April 2018 at the Colorado State University in Pueblo. Austria: The International Annual Congress on Controversies in Cannabis- Based Medicines on 25-26 June 2018 in Vienna. 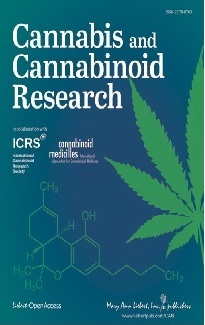 The Netherlands: The 28th Annual International Cannabinoid Research Society Symposium on the Cannabinoids on 30 June - 5 July 2018 in Leiden. USA: CannMed 2018 on 22-24 October 2018 in Los Angeles. University Children's Hospital, University Medical Centre Ljubljana, Slovenia. In a survey with 116 patients suffering from either spinal cord injury or traumatic brain injury many used cannabis. Among the respondents with spinal cord injury, the most common reasons for use were to reduce spasticity (70%), recreation (63%), and to improve sleep (63%). Among those with traumatic brain injury, reasons were recreational (72%), reducing stress/anxiety (62%), and improving sleep (55%). Research Department, Craig Hospital, Englewood, USA. The use of 5, 10 or 20 mg of CBD per kg body weight in 32 children with Dravet syndrome (4 to 10 years of age) had no effect on the blood concentration of the antiepileptic medications clobazam, valproate, levetiracetam, topiramate and stiripentol, but increased levels of desmethylclobazam. Researchers found more adverse effects following CBD (pyrexia, somnolence, decreased appetite, sedation, vomiting, ataxia, and abnormal behaviour) compared to placebo. NYU Comprehensive Epilepsy Center, New York, USA. 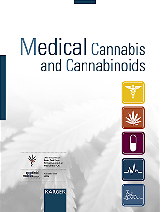 In a study with 2097 patients with myocardial infarction 6% reported cannabis use in the week before their heart attack or had cannabinoid metabolites in their body according to a drug screen. Brigham and Women's Hospital, Harvard Medical School, Boston, USA. University of São Paulo, Ribeirão Preto, Brazil. Fogaça MV, et al. Neuropharmacology. 2018;135:22-33. Scientists reported of a 79-year-old patient with post-polio syndrome. In the course of this disease, recurrent upper abdominal pain and a therapy-resistant nausea developed without vomiting, which responded well to cannabis. Institute for Family Medicine, Medical Faculty of the University of Bonn, Germany. Bleckwenn M, et al. Dtsch Med Wochenschr. 2018;143(5):344-348. In a study with 3723 participants, who qualified for a diagnosis of anxiety disorders, cannabis use was not independently associated with a poorer outcome after 4 years. Psychology Department, Ariel University, Israel.